Anglian Home Improvements have created a unique 12 hour event to raise money for Sport Relief 2010. The ‘Premier League Season in Just One Day’ takes place on Saturday 6thMarch at Norfolk FA’s football development centre, Bowthorpe. 380 games will be played in this unique 5-a-side football tournament that will recreate every game of the current Barclays Premier League in just one day. 20 teams in total can enter the event and teams can comprise of male and female footballers although all players must be over 18 years of age. Supporters and players will have the unique opportunity to have their photograph taken with the actual Premier League trophy, on loan especially for this Sport Relief event. Commenting on the Sport Relief ‘Premier League Season in Just One Day’, Russell Ellis, event organiser from Anglian Home Improvements said, “This exceptional sporting event not only promises to be a fantastic day but should raise money and awareness for those less fortunate in our immediate area and further-a-field in devastated places such as Haiti”. Spectators and supporters are welcome to come to Norfolk FA’s football development centre where they can support the teams and help raise money for this year’s Sport Relief. 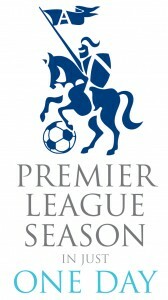 Key event supporter, Shaun Turner, Chief Executive of Norfolk FA said, “Norfolk County Football Association is delighted to be supporting the ‘Premier League Season in Just One Day’. The chance to raise money for Sport Relief and to bring the community together through football and charity is a great opportunity”. Money raised by this local Sport Relief activity goes straight to Comic Relief to help transform the lives of poor and vulnerable people, both at home and across the world’s poorest countries. Sport Relief 2010 is highlighting three key issues that donated funds will help tackle – children who live on the streets or work in dangerous conditions, people affected by malaria and local UK projects.